Researchers at the University of California San Diego have found that microbial species living on cheese have transferred thousands of genes between each other. They also identified regional hotspots where such exchanges take place, including several genomic "islands" that host exchanges across several species of bacteria. Postdoctoral fellow Kevin Bonham and assistant professor Rachel Dutton of UC San Diego's Division of Biological Sciences, along with Benjamin Wolfe, a former postdoctoral fellow in the Dutton lab now at Tufts University, use the rinds of artisanal cheese varieties as simple model systems to study microbiomes, or communities of microorganisms. Microbiomes are known to play a key function in many areas, including human health, protecting us from some diseases and amplifying others. 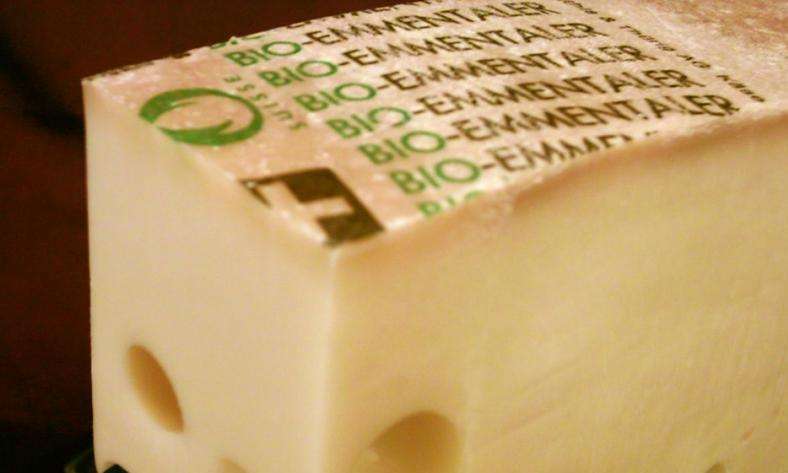 Cheese rinds offer a novel way to study how genes in microbial communities are passed from one organism to another in a process known as "horizontal gene transfer." Details of the study were published July 25th in the journal eLife. "We examined the genomes of over 150 bacteria from cheese, and found more than 4,000 genes that were shared between bacterial species, including several large genomic islands that were shared by many species," said Dutton, an assistant professor in the Molecular Biology Section and part of UC San Diego's Center for Microbiome Innovation, which leverages the university's strengths in clinical medicine, bioengineering, computer science, the biological and physical sciences, data sciences and other areas to coordinate and accelerate microbiome research. "Horizontal gene transfer has been studied for decades, but examining it in a more natural context is challenging because it requires studying an entire community of microbes, rather than studying them in isolation." Dutton said a large percentage of transferred genes involved functions dealing with acquiring nutrients, especially iron, which is known to be in short supply on the surface of cheese. Competition for iron is an important theme for microbes in many environments, including during infections of humans by pathogenic microbes. "Horizontal gene transfer could influence competition for iron and possibly enable 'cheating' within a mixed community," said Dutton. Based on the new results, Dutton and her colleagues are now probing the intricate dynamics of horizontal gene transfer and how the process unfolds on cheese. "Since horizontal gene transfer is prevalent in many microbial communities, including those important for human health, we're now trying to study how this process impacts microbial life and death in a community," said Dutton.